The Grail is powerful. Manifested in four hallowed objects, it is an instrument of healing, restoration, resurrection. It also embodies strength and executes justice. The Grail acknowledges the righteous and protects those who call upon its strength. It it truth itself, and its quest is steadfast. Often beyond reach, it is sentient and particular about who finds it. It can be unattainable. The Grail is a treasure, an ideal, a revelation. From the fabled cities of Falias, Findias, Murias, and Gorias, the Four Treasures of the Tuatha Dé Danann came to Ireland. They made their way to Britain and were lost in the advent of the Roman Legions. Now, in a land lawless and war-torn, the Grail is making itself known. The Horn of Plenty is a beautiful drinking vessel that satisfies any who drink from it, and never runs empty. Its contents have the power to inspire, heal, and impart wisdom and otherworldly visions. The Sword of Excalibur is a symbol of righteousness, and nothing can stand against it. The sword can hew through anything, save the virtuous. The Shield of the Siege Perilous was forged from the Lia Fáil, the Irish king's stone, which screamed proclamations of sovereignty. The shield's surface is a magical chess board, and is able to repel any attack. The Spear of the Dolorous Stroke was most notably possessed by Lugh Ildánach. Truth itself, the spear never fails to hit its mark. It also has the power to unveil treachery and betray a guileful bearer. Merlin disappeared into the Caledonian Forest after the fall of Vortigern, where he has dwelt ever since. The Men of the North call him a "prophetic madman" and either avoid him entirely or send their bravest men to seek out his wisdom. 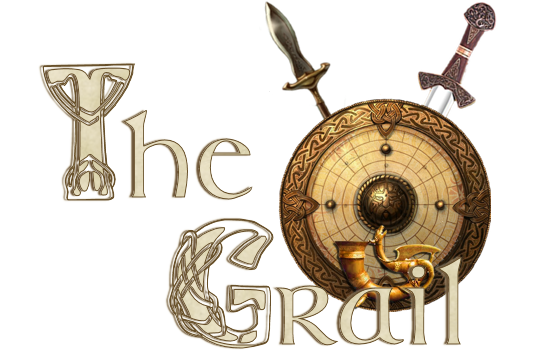 Will Merlyn's quest for the Grail heal a cursed Britain and the ravaged wasteland within himself? There are no storyboard posts for this novel yet.